Can you guess which sportsperson acts as an ambassador for KFC? Or which car manufacturer Justin Timberlake's proud to represent? 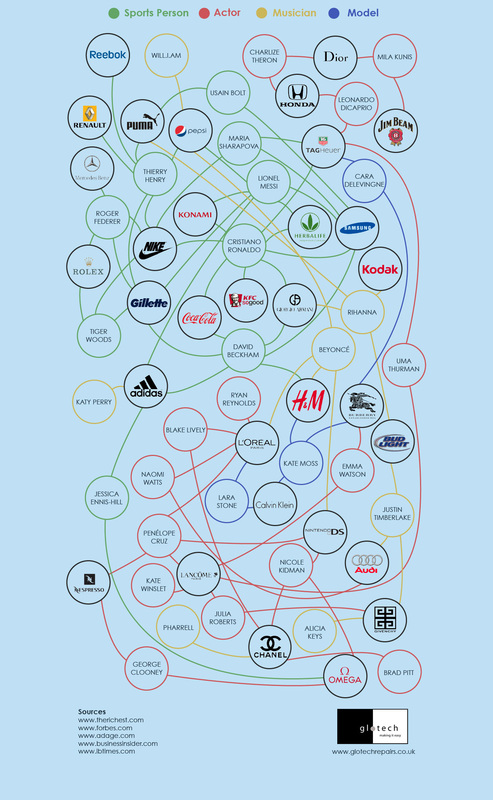 Which celebrity has sold their name to the most brands? Whether we notice it or not, everyday we're bombarded with celebrity adverts and brand endorsements. For many big brands hiring celebrities to appear in adverts and act as brand ambassadors is a costly but worthwhile investment. However, it's often the same faces that pop up time and again, with an individual advertising everything from soft drinks to shaving products. 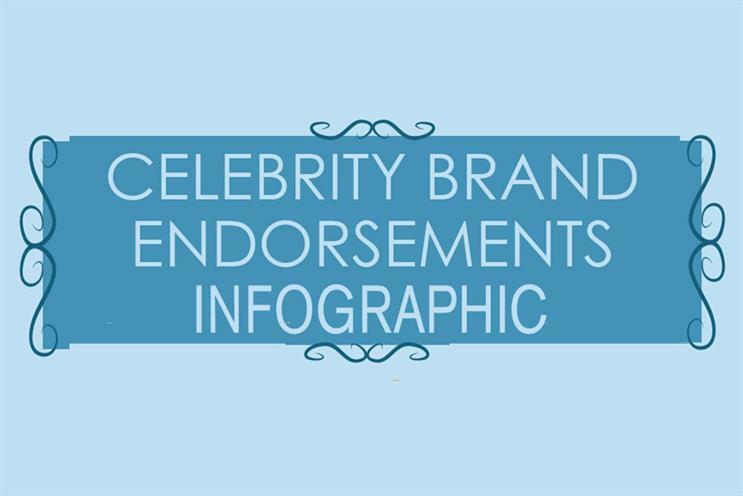 This infographic helps to shed light on the most prolific of the celebrity brand ambassadors.